Stricter auto-content rules in a new trade deal with Canada, the United States and Mexico will add to costs for automakers and their suppliers, industry representatives warned at a hearing on the economic consequences of the agreement. Industry lobbyists said complying with the complex new rules in the U.S.-Mexico-Canada Agreement, the successor to NAFTA, will be a challenging task that could disrupt supply chains and eliminate jobs. One official at the public hearing, though, acknowledged the new deal may lure production back to the United States over the long term, as President Donald Trump wants. “It is clear that the USMCA auto-origin rules will introduce unnecessary complexity, require costly changes to supply chains and potentially redundant investments,” John Bozzella, president of the Association of Global Automakers, said Thursday at the International Trade Commission. His organization represents companies including Toyota Motor Corp. and Hyundai Motor Co. The United States, Mexico and Canada reached a tentative deal at the end of September to replace the North American Free Trade Agreement, which Trump has called a “disaster.” The new pact is likely to be signed by the end of this month, but still has to be ratified by lawmakers of the three countries. The ITC must submit an economic-impact analysis to American lawmakers as part of the process for the new deal to take force in the United States. The USMCA would raise the requirement for North American content in cars to 75 per cent from 62.5 per cent. 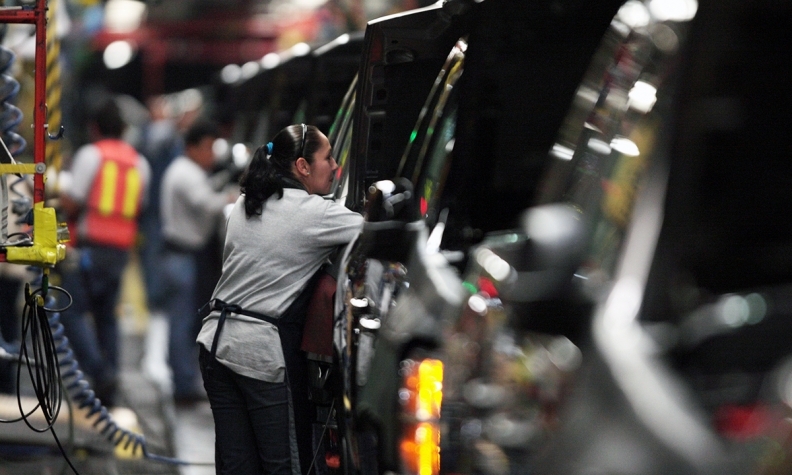 It also requires at least 40 per cent of car production to come from factories where the average wage is US$16 per hour, which may blunt Mexico’s edge as a low-cost production hub. The new rules will hurt demand for vehicles and parts, reducing U.S. production and causing “significant” job losses, said Jennifer Thomas, a vice president for the Alliance of Automobile Manufacturers, which represents carmakers including Volkswagen AG and BMW. U.S. tariffs on steel and aluminum that were imposed earlier this year are already driving up production costs for auto producers, she added. But a representative for the Detroit Three automakers said companies could adapt to the new standards, and predicted they could actually lead to an increase in U.S. production over the long term. “We believe that the rules of origin, while challenging, are manageable,” said Matt Blunt, president of the American Automotive Policy Council, which represents General Motors Co., Ford Motor Co. and Fiat Chrysler. While automakers opposed tougher content rules, they had urged the Trump administration to reach a compromise with Canada and Mexico, rather than pull out of the deal, as Trump has repeatedly threatened. The deal also offers a measure of protection for both Canada and Mexico should the Trump administration impose new tariffs on foreign-made vehicles. It allows each country to ship up to 2.6 million vehicles annually duty-free, well under their current levels. On Wednesday, a senior House Democrat said the Trump administration needs to make changes before securing Democratic support for the new accord. There needs “to be not only changes in the legislation but more enforcement” if the Trump administration wants votes from Democrats, said New Jersey Representative Bill Pascrell, who is considered a leading candidate to chair the the Ways and Means Trade subcommittee. Pascrell’s comments underscore the new clout Democrats will yield, after the party won control of the House of Representatives in last week’s midterm election. While the lawmaker didn’t outline specific changes his party is seeking to the deal, Democrats have been consistent in pushing for tougher labor provisions. “Trade undoubtedly has a role to play in our growing inequality and should have a role in fixing it,” he said.